Looking to start eating healthier?Â Consider using a rice cooker - you can steam and cook rice as well as much more and eliminate excess oil from your diet.Â Check out the best rice cooker brands. For those interested in acupuncture I also have a site with information on relationship between acupuncture and arthritis. I encourage you to make comments on my articles as I try to follow up with all of them. 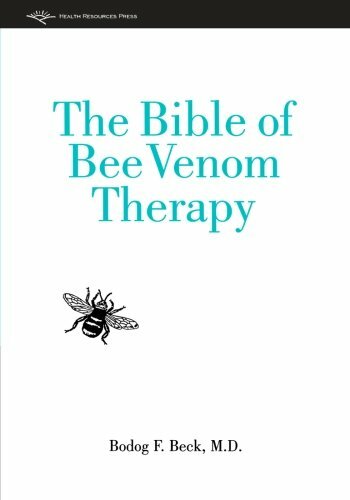 Bee stings as therapy? Apitherapy is the medical application of bee stings, or other products naturally produced by bees, to treat a variety of ailments. A variety of honey bee products including pollen, honey, propolis, venom and royal jelly, are all used medically to treat chronic pain, arthritis, shingles, burns, inflammatory problems like bursitis and tendonitis, some cancers, rheumatoid arthritis and multiple sclerosis. Apitherapy is derived from the Latin word ‘Apis’ meaning bees. A hive yard or collection of hives is known as an apiary. The simplest definition of Apitherapy is the use of bee stings or venom to get rid of a disease or the use of hive products to cure a disease. Credit: http://upload.wikimedia.org/wikipedia/commons/thumb/5/51/Stechende_Biene_12a.jpg/320px-Stechende_Biene_12a.jpgIn apitherapy the insects are placed on trigger points associated with a particular ailment. Bee venom when injected into the body through the bee stinging the person, is believed to stimulate the adrenal glands, which produce the cortisol hormone. The venom in the sting is said to stimulate the body’s own healing power through the cortisol hormone, which has anti-inflammatory properties. Bee sting therapy for rheumatoid arthritis, mulltiple sclerosis and other conditions that involve inflammation have been found effective for many individuals. People who are allergic to bee stings should avoid apitherapy. Anyone wishing to undergo bee sting therapy should consult a trained practitioner for treatment though many have administered their own venom therapy by sourcing bees from local beekeepers and applying them to the area to be treated and inducing them to sting. Bee propolis is a sticky resin produced by worker bees from sap that oozes out of the buds of certain trees and flowers and combining it with naturally produced secretions. The workers collect the propolis and use it to coat the inside of their hive. This seals cracks and holes, keeps out invading insects, snakes and small rodents and is said to help make the hive disease free because propolis has anti-bacterial properties. Propolis is used on cuts and bruises in the form of a salve. It is also a powerful source of antioxidants that can help prevent cell damage. Products containing propolis may be purchased online or from a local health food store. Raw honey is another bee product used in apitherapy. It is a source of energy, has a natural store of vitamins and minerals, and possesses mild anti-bacterial and antibiotic properties. It is useful in fighting ailments like sore throat, cough and minor burns. Raw honey is considered the healthier and more wholesome option because it is naturally organic and has not been processed in any way. Bee pollen has trace amounts of vitamins and minerals, and has a high protein and carbohydrate content. It is found in certain nutritional supplements and Chinese herbal medicines. Bee pollen is made up of a mixture of plant nectar, pollen and bee saliva. Scientific evidence shows that pollen has anti-inflammatory, anti-allergic and cancer fighting properties. Pollen is reported to have several uses in medicine; it is used as part of apitherapy to therapeutically decrease hay fever and pollen sensitivities in people, treat varicose veins, fatigue, infertility, impotence, obesity, constipation, high cholesterol and triglycerides, diarrhea, depression, hypertension, scar formation and prostatitis. Pollen is not toxic and can be used safely as a long term treatment. Royal jelly is a milky white substance that is produced by the salivary glands of the worker bees for their queen. The queen bee uses it to live a long and fertile life. Royal jelly has been used in Chinese medicine for centuries and as part of apitherapy it is used to fight a variety of medical conditions such as infertility, fatigue, asthma, loss of appetite and to lower cholesterol. Apitherapy is a popular form of therapy for treating a wide range of medical conditions including rheumatoid arthritis and auto immune ailments as well as for multiple sclerosis. However, it should be understood that there is not currently sufficent scientific proof to back all patient claims, though many swear by it. Apitherapy has no side effects, unless one is allergic to the venom, so it is a treatment worth trying to see if it is effective for your condition.